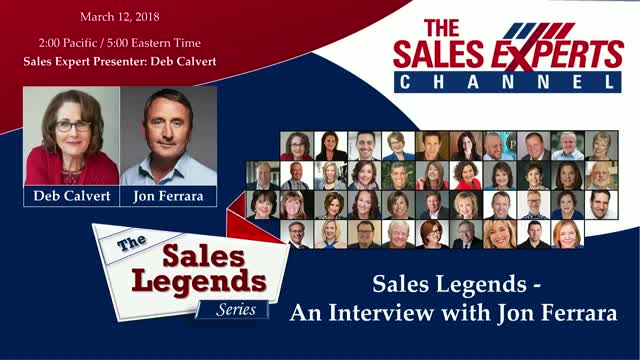 Join Deb Calvert as she interviews Sales Legend Jon Ferrara. Jon is a CRM and Relationship Management entrepreneur and noted speaker about Social Media's effects on Sales and Marketing. He has re-imagined CRM by building a Simply Smarter Social Sales and Marketing platform, his most recent venture Nimble.com.